You are here: Home / Blogging / Happy Birthday To PPC Ian! Happy Birthday To PPC Ian! Today’s an exciting day! 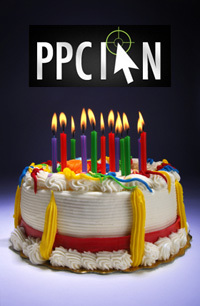 Today marks PPC Ian’s 1 year birthday. It all started one year ago when Unique Blog Designs completed my slick custom blog design and I went live! 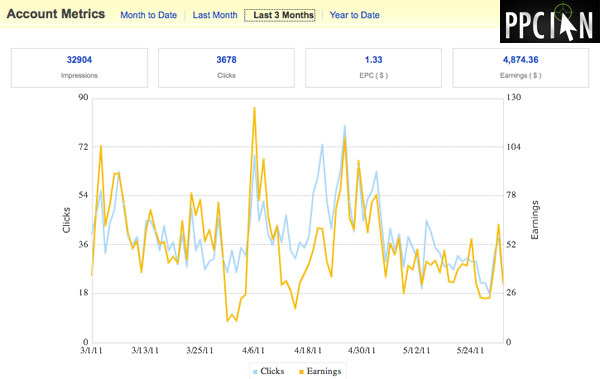 My first post highlighted my passion for PPC and SEM. Now, 94 posts and 683 comments later, PPC Ian is growing quicker than ever! I wanted to take this opportunity to sincerely thank YOU for your support. It’s my readers like you that have made PPC Ian such a success. Today, I’ll be going through some of my favorite highlights from the past year. I hope you enjoy! When I look back on the past year, I’m extremely excited about the friendships I have developed with other bloggers and the online marketing community in general. How did I do it? Well, it honestly all came down to my blog commenting strategy. I got out there and commented on all the great online marketing blogs. Upon doing so, I met a lot of talented individuals and also ended up driving some serious traffic and quality comments on PPC Ian. I even decided to launch my own blog commenting contest and the winners Profit Addiction, Dino Vedo, and My 4 Hour Workweek ended up getting their blogs reviewed for free as the prize! Even after the contest, Jeremy, Dino, and Eric have continued to comment like crazy on PPC Ian, I am truly thankful for that! I also feel blessed that PPC Ian got serious press coverage on some of the top online marketing blogs around! Some of my favorite instances of PPC Ian in the press include: Super Affiliate Jonathan Volk, Celebrity Blogger John Chow, Teen Domainer, ZK’s Web Traffic ROI, Morgan Linton, and most recently my buddy D3so. A HUGE thank you to everyone out there in the online marketing community, I sincerely appreciate your support. I’d also like this opportunity to sincerely thank my sponsors, Marin Software, Acquisio, and WordStream. I have taken a truly unique approach to sponsorship on PPC Ian. Basically, I’m extremely picky and only include sponsors that offer products I personally champion. That’s right: I only include sponsorship from companies that offer killer products, the types of products that search marketers can’t live without! After all, I’m here to empower the search marketing industry. I’m proud to say that I can’t think of better products and companies than these three! 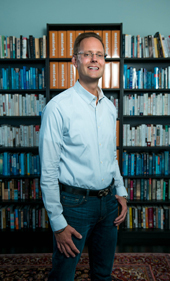 Want to learn more about Marin Software? I highly recommend checking out my exclusive interview with Marin’s Matt Lawson. How about WordStream? You just have to check out their free Quality Score Toolkit that I just reviewed in my last post. How about Acquisio? Stay tuned for my next post, I’m going to review their unparalleled display advertising whitepaper! Sponsors, my sincere thank you for partnering with me in making PPC Ian a big hit! My success wouldn’t have been possible without you! 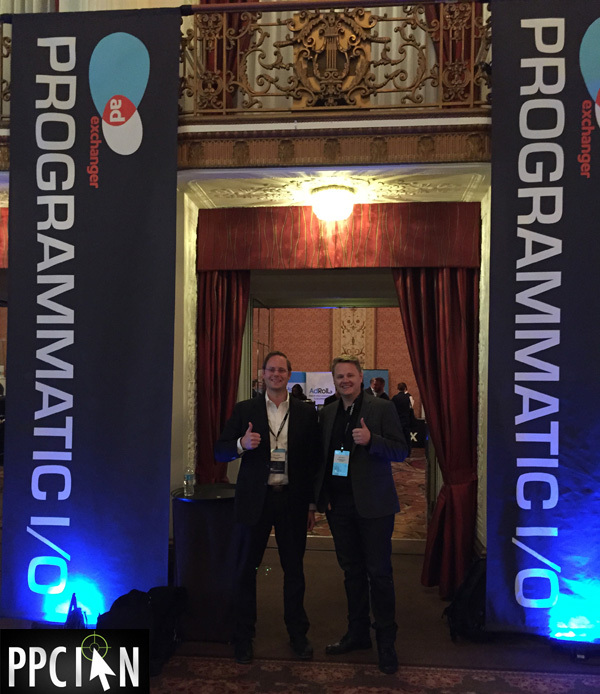 I’d like to close out by highlighting three of my favorite PPC Ian blog posts from the last year. First and foremost, it was one of my 2010 goals to speak at a major event this year. That opportunity came up and I jumped all over it! What am I talking about? 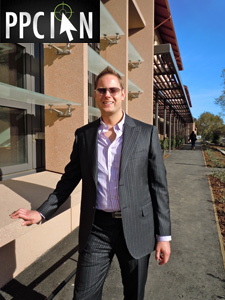 My two hour presentation about PPC, SEO, and Social Media at Stanford’s Graduate School of Business. As you may know, another one of my big goals for 2010 is domaining and developing websites that drive passive income. I’m excited to announce that I’ve totally killed that goal. Along the way, I quickly learned that it’s super critical to scale your Bluehost and Host Gator accounts with add on domains. It’s no surprise that others have the exact same goals and are finding my post all about BlueHost Add On Domains extremely helpful. It’s actually the most visited post on my entire blog! Last but not least, this just wouldn’t be PPC Ian if I didn’t mention my passion for PPC automation. 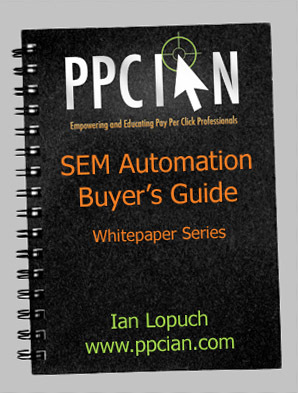 I’m extremely proud of my SEM Automation Buyer’s Guide, my FREE 12 page whitepaper. I’m looking forward to writing more of these in the future! To close out, I wanted to share a screenshot with you. Take a look below, PPC Ian’s organic listing on Google now has site links. This is a new development, one that I’m quite proud of. It basically means that Google is acknowledging PPC Ian as a blog that has authority. Sweet! Thanks again and here’s to another year of hockey stick growth! Happy Bday! Wishing you continued success! I’m jealous that you now have sitelinks. I’m trying to figure out how google lists them. Thats great! On to a next successful year lets hope! Such good, insightful information you’ve been sharing. I can’t believe a whole year has already gone by. Thanks so much everyone for the kind words! 🙂 It means a lot to me and I sincerely appreciate it. You are the best! Congratulations PPC Ian! It’s really an exceptional accomplishment. I browse through many blogs frequently. Frankly, not many blogs offer real and unique insights, opinions and educational materials. My words sound like brushing your shoe, but I’m not actually. Hehe. Keep up the good work!